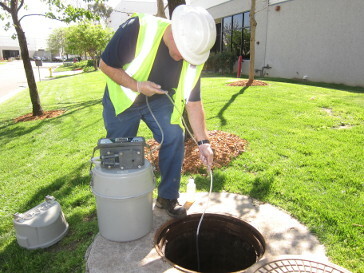 WAL provides complete industrial wastewater sampling and analysis. Customers can be placed on a routine schedule as required by their self-monitoring requirements. Standard turn around time is 10 working days after receipt by the lab. Samples can be rushed up to 24 hour turn around for a nominal surcharge. WAL offers grab, 24 hour time composite, flow composite sampling and pick-up in a limited Southern California (Orange, Los Angeles, and San Bernardino Counties) region. WAL also provides required document preparation. The following are some of tests routinely performed at WAL on industrial wastewater.